Learning that someone you care about feels suicidal often marks the beginning of a stressful time. While this news may come as a shock to you, supporting someone who is suicidal through this difficult time is important. There might be part of you that doesn’t want to know any more about it or deal with it. You might be unsure of what to say and worried that whatever you say will only make things worse. You might experience many different feelings in response to this news, such as panic, fear, frustration, anger, resentment, helplessness, hopelessness and distress. It might touch on your own beliefs about life and death. All are understandable reactions to a serious situation and should remind you of the need to look after your own wellbeing whilst supporting someone during this crisis. However, while having these feelings it is important not to let them and your reactions get in the way of talking openly with the person you are concerned about, so that you can begin to understand their pain and estimate their risk of attempting suicide. Importantly, if you can remain outwardly calm and confident in your approach to the suicidal crisis, this can be very reassuring for a person who is feeling suicidal. An analogy that people sometimes find helpful in understanding a suicidal crisis is to imagine that, like a physical trauma, it is an emotional or psychological injury for the person. While the situation is not necessarily as simple or straightforward as this, it might help you to better understand what the person is going through. The initial role that you as a support person play is therefore similar to performing physical first aid. That is, you assist the suicidal person to ‘stop the emotional bleeding’ and ensure the suicidal person has access to professional mental health supports. You wouldn’t take on the whole responsibility of fixing someone else’s broken limb or treating their heart attack as you would understand that they require expert support and the assistance of a professional such as a doctor or surgeon. 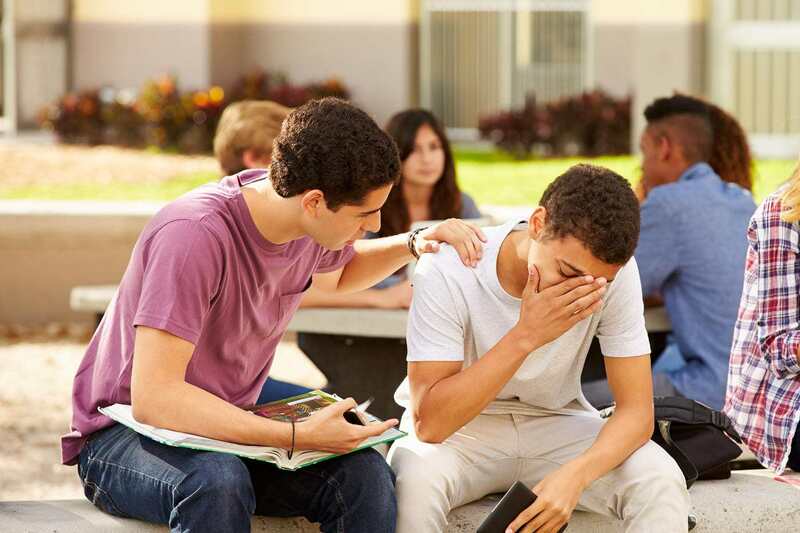 In the same way, it is best to encourage the person you are concerned about to seek the assistance of mental health professionals, such as a doctor or psychologist. This does not mean that you won’t have an important role to play in the long term for the person you are concerned about. They will continue to greatly benefit from your care and support and ability to offer them a ‘listening ear’ when needed along the way. People can blame themselves when someone they are close to feels suicidal. This is often the case when a relationship breaks down or when a child feels suicidal. In some situations, the suicidal person might be saying this to you directly, or you might simply feel that you are in some way responsible or have done something to cause them to feel this way. Their current view of the future, which could very well appear hopeless to them right now. Supporting someone who feels suicidal or who has attempted suicide can take a lot of time and emotional energy. People often report feeling burdened, guilty or drained when offering support to someone who feels suicidal. These are natural responses to a difficult situation. Talking to someone outside of the situation will give you the space to talk about how this situation is affecting you, identify your own needs and build on your coping strategies for managing the situation. Also ask yourself “How much time and energy can I give to this situation?” You will be no help to either yourself or the person you are concerned about if the experience of feeling drained develops into exhaustion and burnout. See our Looking after yourself page for more advice on how to manage your own wellbeing through this difficult time.